The organizers of Metabolomics 2018 are pleased to announce the confirmed keynote speakers below. Prof Ute Roessner has obtained her PhD in Plant Biochemistry at the Max-Planck-Institute for Molecular Plant Physiology in Germany, where she developed novel GC-MS based methods to analyse metabolites in plants. With the combination of small molecule analytics and sophisticated bioinformatics and statistics the field of metabolomics was born which today is an important tool in biological sciences, systems biology and biomarker discovery. 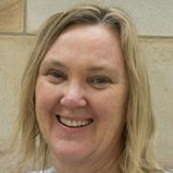 In 2003 she moved to Australia where she established a GC-MS and LC-MS based metabolomics platform as part of the Australian Centre for Plant Functional Genomics (www.acpfg.com.au). Between 2011 and 2014 she led the ACPFG node at the School of BioSciences, The University of Melbourne. Also, in 2007 Ute became the Head of Analytics of a government funded national metabolomics fee-for-service facility Metabolomics Australia (MA, www.metabolomics.com.au) and now leads the MA node at the School of BioSciences, The University of Melbourne. In 2013 she was awarded a prestigious ARC Future Fellowship which aims to identify novel mechanisms of salinity tolerance in barley by spatial analysis of metabolites and lipids using Imaging Mass Spectrometry. 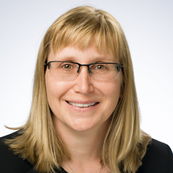 Hannele Ruohola-Baker is a Professor of Biochemistry and Associate Director of the Institute for Stem Cell and Regenerative Medicine at the University of Washington in Seattle. Her research focuses on the molecular biology of stem cells and on the use of Drosophila as model organisms for human diseases. Her laboratory studies the molecules and cellular properties that are required for stem cell states and their differentiation capacity, both in normal and pathological situations. She has shown that microRNAs and HIF pathways play key roles in regulating adult and embryonic stem cell self-renewal in model organisms as well as in hESC and iPSC. The laboratory presently works on three questions: 1) what are the metabolic determinants of stem cells, 2) what are the key microRNAs that induce cardiomyocyte maturation and 3) what is the molecular mechanism of stem cell protection against apoptosis. 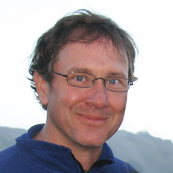 Gary Siuzdak is Professor and Director of the Scripps Center for Metabolomics at The Scripps Research Institute. He is an affiliate scientist at the Lawrence Berkeley National Lab and has served as Vice President of the American Society for Mass Spectrometry. His research includes developing novel technologies for metabolomics, imaging and system biology. He has over 300 peer-reviewed publications and two books including the "The Expanding Role of Mass Spectrometry in Biotechnology”. Age K. Smilde is full professor of Biosystems Data Analysis at the Swammerdam Institute for Life Sciences at the University of Amsterdam and as of June 1, 2013 he holds a part-time position as professor at the Department of Food Science at the University of Copenhagen. He has published more than 250 peer-reviewed papers of which more than 70 about metabolomics data analysis. He has been the Editor-Europe of the Journal of Chemometrics during the period 1994-2002. He is a co-founder of the Netherlands Metabolomics Centre; a large Public/Private Consortium devoted to all aspects of metabolomics His research interest is data fusion and multiset methods. For more information: see www.bdagroup.nl. 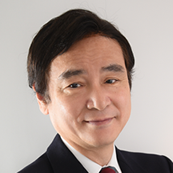 Masaru Tomita is a Professor and the Director General of the Institute for Advanced Biosciences, Keio University. He received M.S and Ph.D in Computer Science from Carnegie Mellon University (1985), and two other doctoral degrees in electronic engineering and molecular biology from Kyoto University (1994) and Keio University (1998). His pioneering work includes "E-CELL computer simulation" (Bioinformatics 1999), "Large scale multi-omics biology of e.coli" (Science 2007), and "Saliva test for detecting cancer" (Metabolomics 2009). Dr. Tomita is a recipient of Presidential Young Investigators Award from National Science Foundation of USA (1988), Minister for Science and Technology Policy Award（2004）, Reuters Highly-Cited Researcher（2015）, Audi Innovation Award（2016）and various other awards. He is a co-founder of the Metabolomics Society, and hosted the 1st and 10th meetings in 2005 and 2014, and was elected as a Lifetime Honorary Fellow of the Metabolomics Society in 2017. The following have been confirmed as Session Keynote Speakers. Each presenter will have a 30-minute talk at the beginning of their session. 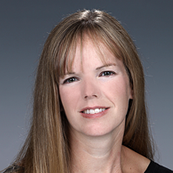 Dr. Erin Baker is a bioanalytical chemist with more than 18 years' experience and >100 publications utilizing ion mobility spectrometry in conjunction with mass spectrometry (IMS-MS) to study environmental and biological systems. In the last 13 years, she has worked primarily to develop high-throughput multi-dimensional analyses to quickly study numerous samples in a short time period without losing valuable information. Dr. Baker is also working with various informatics teams to design and implement software tools that automatically analyze these complex datasets. 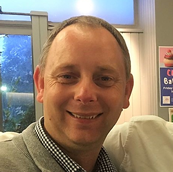 Dr Warwick (Rick) Dunn is Professor of Analytical and Clinical Metabolomics, is Director of Mass Spectrometry in the £8M Phenome Centre Birmingham and is Director of the Birmingham Metabolomics Training Centre (BMTC). His research is focused on two areas (1) the development of new analytical tools and methods to enhance data quality, efficiency of metabolite annotation, coverage of detectable metabolites and standardisation in untargeted metabolomics studies and (2) the application of untargeted and targeted metabolomics to the study of metabolism across the life course in humans including pre-birth, ageing, endocrinology, inflammatory and immune diseases and cancers. He has a passion for teaching metabolism and metabolomics from undergraduate level to specialised training in the BMTC and has published more than 110 papers. Rick will present work on the interaction of insulin, glucocorticoids and global metabolism and included in the photo is Dr Riccardo Di Guida who performed the majority of the laboratory work that will be presented as part of his successful PhD research. Melissa Fitzgerald holds the Australian Food and Grocery Council Chair in Food Science and Technology at the University of Queensland. Melissa undertook her PhD at La Trobe University in the School of Botany in 1994, and then joined NSW Agriculture in 1997. In 2004, she was spirited off to the International Rice Research Institute in the Philippines to head the Global Program for Rice Grain Quality, Nutrition and Value-Adding. In 2012, Melissa returned to Australia, to take the Chair at UQ. In her research, she has developed a state of the art platform for metabolomic profiling of food and plants, and has used metabolomics as a phenotyping tool to discover new genes and alleles, in order to provide useful selection tools to crop breeding programs. Dr. Kaddurah Daouk is a Professor in Departments of Medicine and Psychiatry at Duke University Medical Center. She has been a seminal force in development of applications for metabolomics in the medical field. She co-founded the Metabolomics Society and served over four years as its founding president helping create presence and voice for an interactive metabolomics community. She cofounded Metabolon, a leading biotechnology company for applications in metabolomics. With significant funding from NIH she established and leads large consortia that includes over 150 scientists from over thirty academic institutions. The “Mood Disorder Precision Medicine Consortium” (MDPMC) funded by NIMH seeks to optimize treatment outcomes in depression. The “Alzheimer’s Disease Metabolomics Consortium” funded by NIA and in partnership with the Alzheimer's Disease Neuroimaging Initiative is one out of six consortia under Accelerated Medicine Partnership for Treatment of Alzheimer Disease (AMPAD) and Molecular Mechanisms of the Vascular Etiology of Alzheimer’s Disease (M²OVE-AD) initiatives. Through the “Pharmacometabolomics Research Network” funded by NIGMS she established foundations for “Pharmacometabolomics” developing tools and approaches for the study of drug effects and variation in response to treatment. 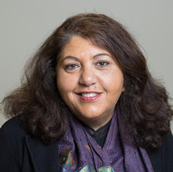 Dr. Kaddurah Daouk leads the Precision Medicine Task Group within the Metabolomics Society and serves on the board of the newly established Metabolomics Association of North America. 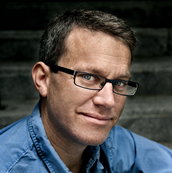 Dr. Lampe is a Full Member and Associate Division Director in the Public Health Sciences Division at Fred Hutchinson Cancer Research Center and a Research Professor in the Department of Epidemiology at the University of Washington in Seattle. She received her PhD in nutritional sciences and trained as a post-doctoral fellow in epidemiology at the University of Minnesota before joining the faculty at Fred Hutch. Dr. Lampe’s research focuses on the effect of diet constituents on cancer susceptibility in humans and the effects gut microbial genetic and functional variation on response to diet. Her group uses metabolomics to characterize physiologic and biochemical responses to dietary interventions, and to develop biomarkers of dietary intake. Prof. Matej Orešič holds a PhD in biophysics from Cornell University (NY, USA). 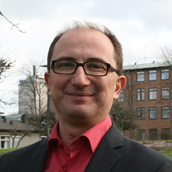 He is a group leader in systems medicine at the University of Turku, visiting associate professor at the Örebro University, and guest professor in lipids and nutrition at the Oil Crops Research Institute of the Chinese Academy of Agricultural Sciences. 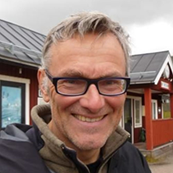 Prof. Orešič is one of the initiators of the Nordic Metabolomics Society and, as of 2016, he is a Lifetime Honorary Fellow of the Metabolomics Society. His main research areas are metabolomics applications in biomedical research and systems medicine. He is particularly interested in the identification of disease vulnerabilities associated with different metabolic phenotypes and the underlying mechanisms linking these vulnerabilities with the development of specific disorders or their co-morbidities, with main focus on type 1 diabetes and non-alcoholic fatty liver disease. Prof. Orešič also initiated the popular MZmine open source project, leading to popular software for metabolomics data processing. Dr. Sumner is a Professor in the Department of Nutrition at the University of North Carolina at Chapel Hill (UNC-CH), where she is working to make Precision Nutrition a reality. 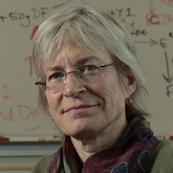 She is the PI of the NIH Common Fund (C-F) Eastern Regional Metabolomics Research Center (ERCMRC), which serves as one of six cores in the United States working together in a NIH C-Fund U24 consortium to develop national standards, to increase clinical and translational research, and to provide training. 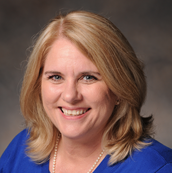 She also directs the untargeted analysis core for a NIEHS-funded Children’s Health Exposure Analysis Resource (CHEAR) Hub, and a NIDDK-funded Nutrition Obesity Research Core (NORC). Dr. Sumner earned at PhD in physical chemistry at North Carolina State University, and conducted a postdoctoral fellowship in the Heart, Lung, and Blood Institute at the National Institutes of Health. 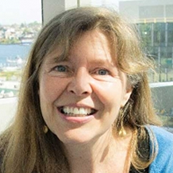 She serves on the Editorial Boards for Frontiers in Nutrition, Metabolomics, Environmental Health Perspectives, and is on the Board of Directors of the Metabolomics Society. Yulan Wang is a professor of biomedical metabonomics, Wuhan Institute of Physics and Mathematics, Chinese Academy of Sciences. She obtained her PhD in 1997 from University of East Anglia, Norwich, UK. In 2001, she worked at Imperial College London in the field of metabonomics. In 2007, she was recruited by Chinese Academy of Science and became professor at Wuhan Institute of Physics and Mathematics. Prof. Wang focused her research in development of metabonomics techniques, including NMR and MS-based techniques. She has applied the metabolomics technique to a number of disease areas, including infectious diseases, cancer, neurodegenerative disease and gastrointestinal tract disease, as well as drug toxicity. 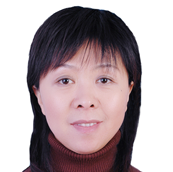 Prof. Wang has published more than 140 peer-reviewed papers, 15 book chapters and she is also a co-editor of a book entitled “plant metabolomics-method and applications”. Yulan had been an executive committee member of “experimental nuclear magnetic resonance conference”. She is also an editorial board member of several journals, including, scientific reports, metabolomics, current metabolomics, and natural partner journal-infectious disease. Craig Wheelock leads the Integrative Molecular Phenotyping laboratory at the Karolinska Institute and is a Distinguished Visiting Professor of Metabolomics at the Gunma Institute for Advanced Research (GIAR) at Gunma University, Japan. His research focuses on mass spectrometry-based molecular phenotyping of obstructive lung disease. These efforts are combined with multivariate modelling to perform omics-based data integration to identify sub-phenotypes of disease. A major area of the research in his group centers on investigating the role of lipid mediators in pulmonary inflammation. Recent efforts involve performing exposome-based studies to understand the effect of environmental exposure upon disease etiology and identify sensitive sub-populations of individuals with respiratory disease. The overall aim of the work in his group is to develop personalized molecular profiles that can be associated with an individual’s lifestyle, environmental exposure and susceptibility to disease onset. Dr. Wheelock is a member of the European Respiratory Society (ERS) Scientific Events Working Group, Board Member of the International Metabolomics Society, and consultant at the Mount Sinai School of Medicine on metabolomics and the exposome. Dr. David Wishart is a Professor in the Departments of Biological Sciences and Computing Science at the University of Alberta. 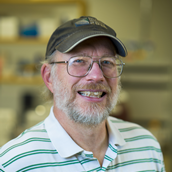 For the past 12 years, Dr. Wishart has led the “Human Metabolome Project” (HMP), a multi-university project that is cataloguing all the known metabolites in human tissues and biofluids. Using advanced methods in NMR spectroscopy, mass spectrometry and machine learning Dr. Wishart’s team has identified >110,000 metabolites in the human body. This information has been archived on a freely accessible web-resource called the Human Metabolome Database (HMDB). ). More recently, Dr. Wishart’s efforts have focused on characterizing the content of various foods and food products. This information is now available in a resource called FooDB. Over the course of his career Dr. Wishart has published more than 330 research papers in high profile journals. Many of these have garnered considerable attention and he has been recognized by Thomson-Reuters as one of the world’s most highly cited scientists for each of the last 3 years. Dr. Wishart currently directs The Metabolomics Innovation Centre (TMIC), Canada’s national metabolomics laboratory.